Some properties, whether an office complex, multifamily housing complex, manufacturing facility or other, sustain frequent damage for various reasons, including hail. If claims are filed to address the losses, insurance companies may not renew the policy for these properties; with advance notice the property owner or an owner’s representative will need to secure proper coverage with another carrier. Property owners and their representatives should be aware of and pay particular attention to the terms and conditions of a new policy and thoroughly understand changes before accepting the policy. Changes will reflect new premium, new coverages with new exclusions and endorsements, new definitions and new deductibles. Ask questions to learn how deductibles are applied and to determine if alternatives are available and more cost-effective. 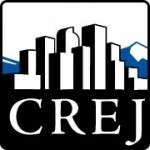 With Colorado properties regularly susceptible to hail damage, securing a policy with proper coverage for a building or complex at an acceptable premium with an appropriate deductible(s) is critical. Policy language that may limit coverage should be understood as well as costs the owner will incur by way of the deductibles, should damage be sustained for hail and wind damage. 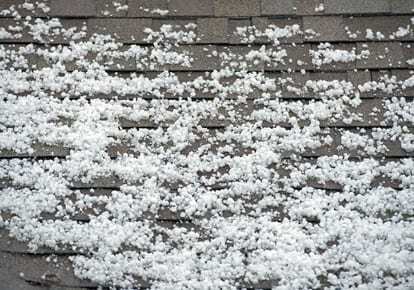 Many policies now reflect separate and increased deductibles for hail and wind damage. For damages caused by most other perils, such as fire, a deductible is noted on the declarations pages – the deductible may be set at $1,000, $5,000, $10,000 or another amount. However, as a result of the likelihood of hail or wind damage, deductibles for these two specific perils may be set at 1 percent, 2 percent, 5 percent or higher based on the value of each building. As an example, consider a large apartment complex with 20 buildings and a policy reflecting a 2 percent hail deductible. Each building in the complex is valued at $750,000. In this scenario, the owner will be responsible for the initial $15,000 of hail damage to each building; the carrier will apply the deductible to the claim before any payment is issued. In this example, after many hail storms and a thorough assessment of the property, the owner learns that not only has each roof been damaged, but also the exterior of the buildings including the façade, downspouts, windows and signage are damaged. Let’s assume repairs to the exterior of each building is $10,000. Let’s also assume it costs $40,000 per building to replace a damaged roof. To simplify the owner’s exposure to out-of-pocket costs in this example, if damages were established and agreed upon by the parties at $50,000 per building, the claim would be $1 million. The insurance company will issue payments totaling up to $700,000. However, with $15,000 being applied as the deductible for each building –based on the 2 percent deductible with each building valued at $750,000 – the owner will be “self-insured” for the initial $300,000 – after having paid the specified policy premium. The example reflects the parties agreed to the scope of damages and repair costs to include roof replacement for each building and exterior damage. Yet suppose, with the same applicable deductible and after multiple inspections of the property, representatives of the insurance company agreed the damages to the exterior of each building was at $10,000 and asserted the roofs on 12 buildings must be replaced, but damage to the other eight could be repaired for $5,000 each. If this is how the claim is adjusted, with the owner responsible for the first $15,000 for each building, the owner will have out-of-pocket costs of $180,000 for the 12 building where repair costs exceed the applicable deductible and the carrier will be responsible for the remaining $420,000. Repair costs for the other eight buildings are at $15,000 each – the amount of the deductible for each – thus the carrier will not issue any payment for damages to those eight buildings as repair costs do not exceed the applicable deductible. The owner will be responsible for the $120,000 to address required repairs on these eight buildings, in addition to the $180,000 for the 12 buildings with full roof replacement. In both examples, the owner is exposed to costs of $300,000 for a covered peril – after having paid the requested policy premium and factoring in the noted deductible. If necessary funds are not readily available to cover the out-of-pocket expenses, required repairs may be delayed. Owners who are aware of and understand this exposure will properly budget for repairs, yet some owners or their representatives may not fully understand the exposure and the required funds may not be readily available. Depending on the value of the property, the specified deductible and costs to properly repair the damage sustained, the exposure could be less – or considerably higher. Owners should consult with their agent, broker or another experienced in the insurance industry to learn of options with respect to hail and wind coverage and to be aware of their financial exposure if their property is damaged. Owners will benefit from seeking input from those experienced in securing proper coverage and from those experienced in the claims process. Featured in July issue of Property Management Quarterly.